It’s been awhile coming but the Department of Energy and Climate Change has finally announced its plans for the domestic side of the Renewable Heat Incentive (RHI) scheme, alongside proposed tariff rates for eligible renewable heating technologies. The scheme was first announced back in 2009 and the RHI support for commercial installations was the first to be introduced last November. The domestic RHI will support and encourage residential installations of solar thermal panels, biomass boilers and heat pumps and will operate in much the same way as the feed-in tariff (FiT) scheme does for solar photovoltaic panels. While solar thermal will achieve 17.3p/kWh, air source heat pumps will generate a payment of 6.9-11.5p/kWh and ground source heat pumps 12.5-17.3p/kWh. Biomass boilers will receive support ranging from 5.2p/kWh to 8.7p/kWh. To be eligible for the tariff the technology must have been installed after 15 July 2009. DECC has revealed that payments will be paid out over a seven year period, although the payment period is designed to pay for 20 years’ worth of heat generated. Commenting on the proposals, Energy and Climate Change Minister Greg Barker said the UK must revolutionise the way its homes and businesses our heated, and move away from expensive fossil fuels, which will help cut carbon emissions and enable the UK to meet its renewables targets. “Our proposals aim to encourage even more uptake of clean green heating in industry and in our businesses,” said Barker. The Renewable Energy Association (REA) says the Government’s consultation into the RHI is a major step forward for the renewable heating scheme. 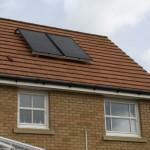 “Renewable heat has been the sleeping giant of UK renewable energy policy. Renewable heat technologies are often very cost-effective, and have a major role to play in reducing our carbon emissions, improving our energy security, and revitalising our economy,” said Paul Thompson, REA Head of Policy. “We are delighted that the Government has published these proposals on time and we are looking forward to engaging further with DECC on the details to make the RHI work,” he added. DECC has revealed it is also looking into operating a budget management system with a trigger mechanism similar to the one employed for solar PV FiT payments, which it believes is necessary in order to protect the scheme’s budget if it is to keep running long term. The consultation will close on 7 December 2012.